banjira Tabla Set Plus Extra Bayan TBCD. 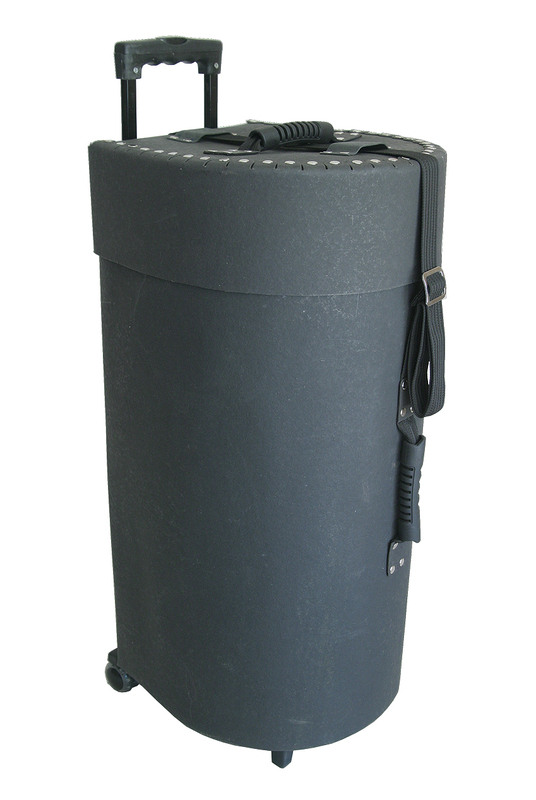 Tabla Case, Wheeled, 2+1 TBCD Premium quality tabla case made of a hard fiber impregnated shell. On wheels and push-button locking handle system for easy maneuverability. Top and side carry handles. Also has a clasp for a lock. Excellent for storing or transporting a strap-tuned tabla set plus extra Bayan. Approximately 30 inches Tall, 14 inches Deep and 14 inches Wide.